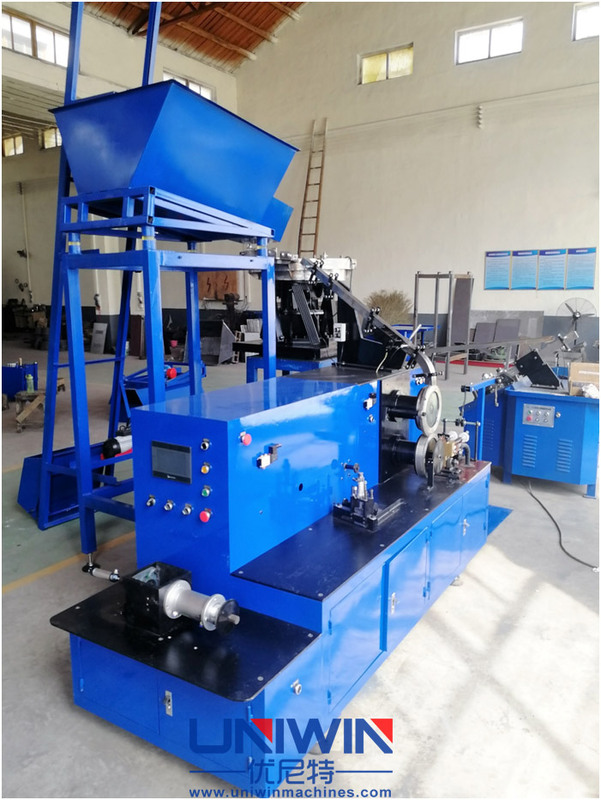 This coil nail making machine is automatic welding equipment to weld the nail into roll, then put the coil nails into nail gun and use for export wooden crates, wooden pallets, crates, frames, wooden furniture, wooden houses and other wooden structure of the connection. Staples quickly, saving labor and improve efficiency greatly. 1. Automatic nailing into a roll to reduce work intensity. 2. 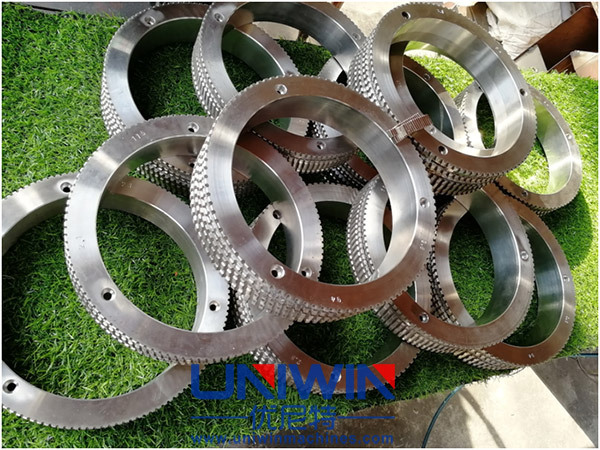 For uniwin coil nails collator, it adopts high-frequency welding machine technology, stable and has automatic voltage regulation function. 3. For the PLC control system, we are using Japan Omron Brand, it is very stable and reliable. 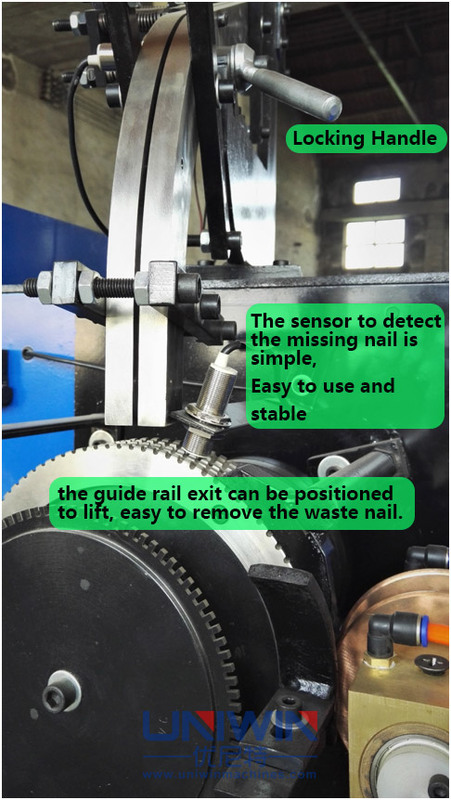 And also equipped with Weiluntong touch screen can adjust the working parameters and has the automatic display function of equipment failure. 4. For the nails wheel holder, it can hold different nail length and diameter nails, and inlaid NdFeB strong magnets in to avoid the nails drop from the nail holder. 5. 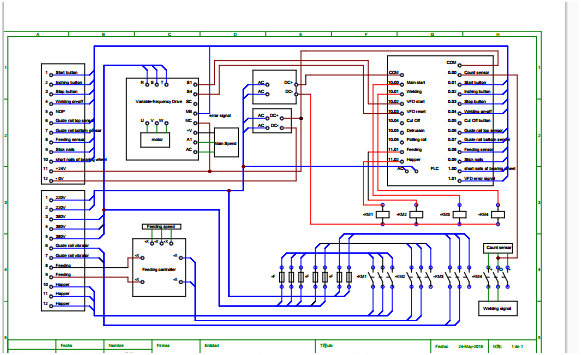 Provide electrical control diagram for easy maintenanc.